*You won’t find Shrek here, but that’s only because the movie ruined it for me. CliffsNotes version: Mama’s boy donkey named Sylvester Duncan (how great is that name?) collects pebbles. One day, he finds a magic one: when you hold it and make a wish, the wish comes true. Not being dumb, he immediately sees the potential for good in this, wants to take it home to show his parents. Sees a lion on way home and, freaked and scared of being eaten alive, wishes he was a rock. Turns into rock. Unable to touch magic pebble and wish to be a donkey again, he sits there, inert: a rock. His distraught parents go looking for him. They look for him for a year. Parents eventually go for a walk and have a picnic on him. They find the pebble, place it on the rock, and Sylvester is reborn. How I might describe it: A book, in some ways, about loss. But with a happy ending. CliffsNotes version: A frog named Gorky mixes up a magic potion in his parents’ kitchen one day, as any boy frog would want to do. He drinks it, and begins floating up into the sky. Up through clouds, through a rainstorm, into the heavens, where he is suspended, “like a coat on a hanger.” Looks down on the world from whence he came, ponders life. Comes back down to earth, lands on 10 million year old Elephant Rock, which suddenly comes alive. Is reuinted with his loving family. How I might describe it: An exploration of our dreams of escape, of transcending our circumstances and striking out…only to take comfort in home. 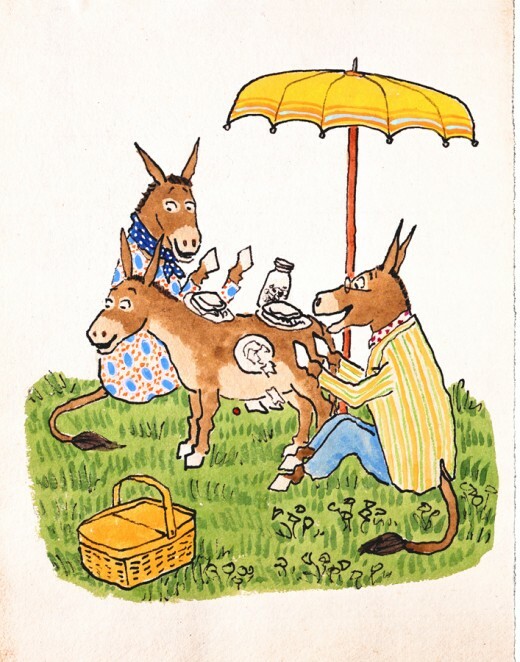 William Steig books always come home. 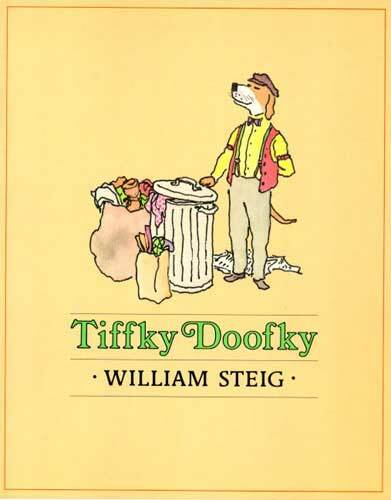 CliffsNotes version: Trash collector dog named Tiffky Doofky stops, on his daily rounds, to get his fortune told. On this day, the fortune teller tells him, he will meet the love of his life. He goes on to meet the love of his life. Endures several strange encounters, and is almost strangled to death by a large boa constrictor named Dolores, only to be saved by a white poodle and snake charmer named Estrella — who turns out, naturally, to be the love he’s been looking for. And the daughter of a garbage collector, as well. How I might describe it: Faith. 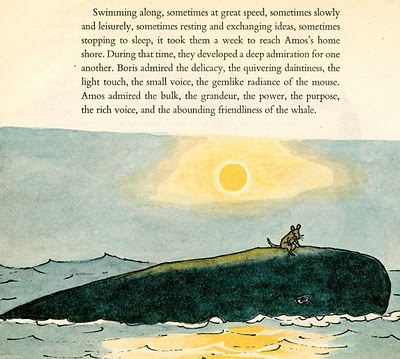 CliffsNotes version: Sea-loving mouse named Amos builds a boat and sets sail. Destination: the other side of the water. (Love that.) One night, admiring stars on deck, falls overboard. Endures a long night, abob in the “vast loneliness,” confronts death, and is rescued and befriended by a whale of “abounding friendliness” named, of course, Boris. Amos climbs aboard Boris’s back and, together, they journey home. Along way, become the best of friends. Years later, Boris is beached during a terrible storm. Amos finds him there, dying. Amos locates two elephants (just go with it) to help push Boris back into deep water and save his life. How I might describe it: That, right there, is friendship. CliffsNotes version: A dressmaker is sewing a gown for a duchess to wear to some kind of royal ball. But the dressmaker becomes ill and it falls to her young daughter, Irene, to deliver the dress. Problem: there is an epic, driving snowstorm, Irene is little, and the dress is a large thing to lug across a dark and stormy forest. An “ill-tempered” wind batters Irene, tears into her, forces her to walk backwards, but Irene is determined. She can’t let her mother down. Then the dress is ripped form her hands, and flies away, stolen by the wind. She continues on, through the night, nearly freezing to death. She is lost. The dress, you’ll be glad to know, is magically delivered. Irene is hailed by royal types as a “brave and loving” person. And again (detecting some themes?) she is reuinted with her mother. How I might describe it: A parable about perseverance. And an argument for being nice to your mom when she’s not feeling so good. CliffsNotes version: First off, this is a chapter book, probably more for 2-4th graders, 146 pages of pure joy. 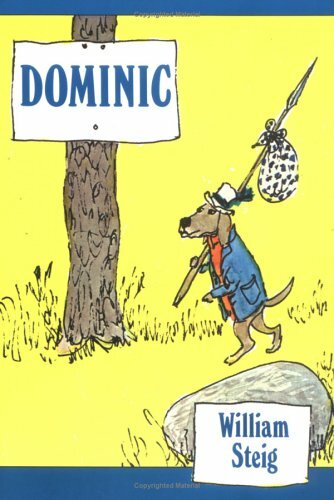 Dominic is a “lively one,” a dog who sets out on his own — with a righteous ensemble of hats and his trusty piccolo — to see the world. Along the way, he runs into a roving band of bad guys, known as the Doomsday Gang. They try to lure Dominic over to the dark side. This gang, it turns out, has been stirring up a lot of bad juju out in the larger animal world, and Dominic sets out to make things right. Includes an unbelievably beautiful moonlight serenade of mice carrying Japanese lanterns. That’s right. How I might describe it: Life can be hard, but there’s a crazy amount of beauty in it, too. CliffsNotes version: Another chapter book with a four-legged protagonist. Abel’s a mouse, a trust fund dandy, newly married to a girl mouse named Amanda. One day, while picnicing (Steig loved a picnic) on watercress, quail eggs, caviar and champagne (Steig loved food), a hurricane blows through (Steig loved storms) and snatched the scarf from Amanda’s neck, prompting Abel to leave her (you get the idea re: Steig’s obsessions) and rescue her scarf. He is, instead, swept away by the storm and washes up on a small island in a river, where a sweet and beautiful version of kid book Survivor unspools. Abel is forced, for the first time, to make his own way in life: to make new friends, to fend for himself, to find a new home and, at the same time, a way back to his love. Favorite passage: There are too many to say, and I’ve blabbered on too long. How I might describe it: You are capable of so much more than you think. That, and it’s amazing what we’ll endure for love. Aaaaaaaah, this totally made me cry! We’re enjoying the early morning reading too, and are amazed at how many excellent picture books there are out there. I never realized before I had kids! If only we could get the twins to stop eating books and just listen the story like their big sister. Beautiful, wonderful, perfect post, Andy. Well-done! Abel’s Island! I had completely forgotten about that book till just now. How could I forget? It was the first chapter book I read by myself! 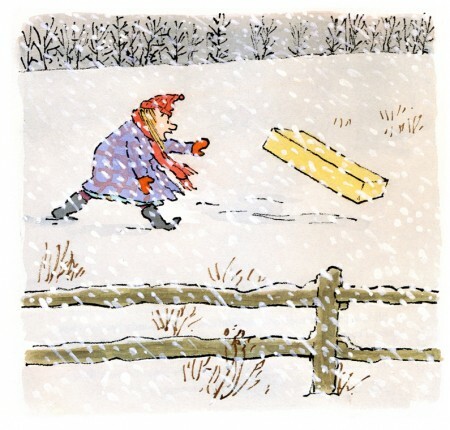 I need to get to the bookstore and stock up on William Steig for my daughter. Also, because I am a nutbag, I’ve spent more time than i care to admit googling “Cast Away” “Abel’s Island” “Zemeckis”–that movie is such a rip-gyp rip off of Steig! could they really not have acknowledged the influence anywhere in print? And: The last pages of that book! That is becomes a graphic novel in a way, and you don’t even need the words. This post made me want to spend time with theoretical nieces and nephews and sons and daughters so I could brighten and expand their theoretical little lives. Lovely. Thank you. 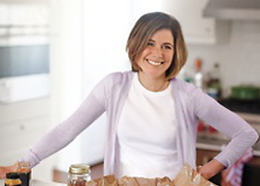 Our favorite Steig was Dr. De Soto – do you know that one? The noble little mouse dentist who treats the fox with the tooth injury and escapes being eaten with some clever thinking and teamwork with his wife. We love it so, so much 🙂 Sylvester is a close second, though. How can you leave out Pete’s a Pizza?! Granted it’s for the younger set but it’s amazing – “the pizza gets captured and hugged” chokes me up every time. All great books. That image you provided from Abel’s Island zapped me instantaneously back to childhood. I haven’t thought about that book in ages, and have never read it with my kids. Oh, and @ Debi, LOVED Pete’s a Pizza. Loved it! My favorite is _Spinky Sulks_. The older kid version of Pete’s a Pizza, sort of. Thanks for the reminders of all the great books! Thank you so very much for promoting-by-writing-about real books. Books with real, satisfying words. Books with big thoughts. Thanks so much for honoring Steig. he is truly the best. I also am a huge fan of Dr. Desoto and Pete’s a Pizza. Oh how we loved “Paper Bag Princess”. When it was my turn to read to her preschool/kindergarten/firstgrade/secondgrade class, that was my daughter’s request. She’s 10 and still keeps it by her bedside. “We’re going on a Bear Hunt” was also a much loved book. I can still recite it. Thank you for this list! I have been looking beyond Scholastic for great books for my kindergartener. Can’t wait to get them! Great stuff. Thank you so much for posting these sensitive, inspiring reviews. OMG – Sylvester and the Magic Pebble was one of my favorite books when I was little. I’d forgotten all about it and this just gave me flashbacks of being young and asking my mom to read it to me. 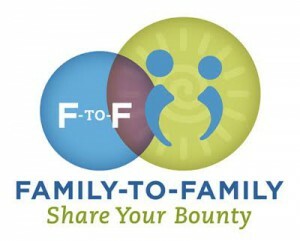 Amazing list today – even though I don’t have any kids of my own yet, I look forward to your book review posts soo much! As the daughter of a dentist, I adored Dr. DeSoto! i love steig and haven’ t read a few of these, so thank you for this post. i have always thought of steig as the anti-roald dahl. As always, Andy, you were spot on with your choices and your words. I did miss Dr. DeSoto on here, and The Amazing Bone, another weird yet brilliant one. When I studied children’s literature in Boston years ago, people spoke in awed tones of spotting the grand old man himself, out for a walk in the Public Garden. It’s a good thing I never saw him — I would have completely embarrassed us both by embracing him! Abel’s Island was the best! I don’t have kids of my own yet, but I can’t wait to one day read all of those amazing books that shaped my childhood to my little ones. 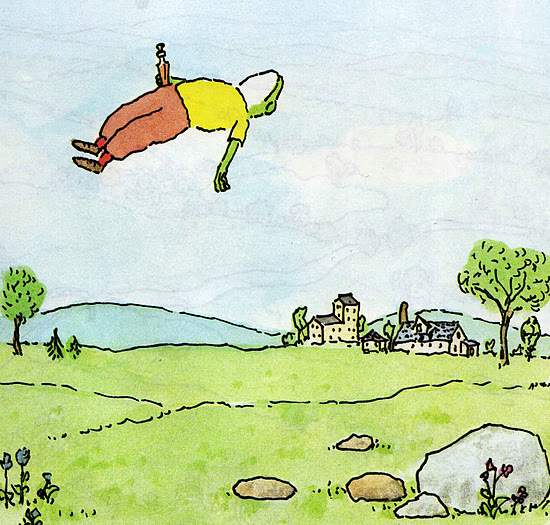 Great children’s books have so much magic and mystery. My favorites were always by Bill Peet and Roald Dahl. Ugh. Breakfast. 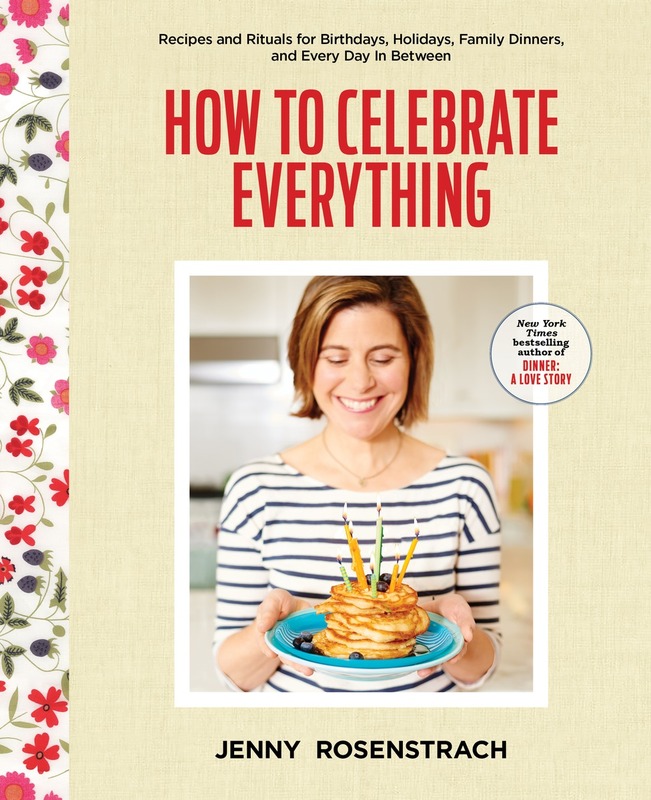 If you and Jenny have any tips for how to get through that meal, I’d be all ears. One kid eats some sort of carb with peanut butter and the other has cheerios. I’m dying. Eggs! Steel-cut oats! Scones! Please help. But really, all this reading before coffee? You are masochists – no matter the quality of the author. We have to do the same early morning routine, but make the little one venture to the kitchen with us for hot milk (for her) and coffee (for us). A delightful list! My fave is Amos & Boris, but all 3 boys love Pete’s A Pizza. Is it every boys dream to be made into a food? William Steig is also featured in Miss Brooks Loves Books about a reluctant reader. Not that you have that problem in your house. I teared up a bit reading this (I am a sentimental sap) because my Dad still can’t talk about Sylvester and the Magic Pebble without tearing up (like dad, like daughter). I know his tears are not just about this beautiful book but about the years he snuggled into our beds and read to us each night. Steig was the favorite in our house. I don’t have kids yet so I think what I love most about these posts is that they fill me with the only other reference point I have, which is about being a kid myself. And now I think I need to call my Dad. 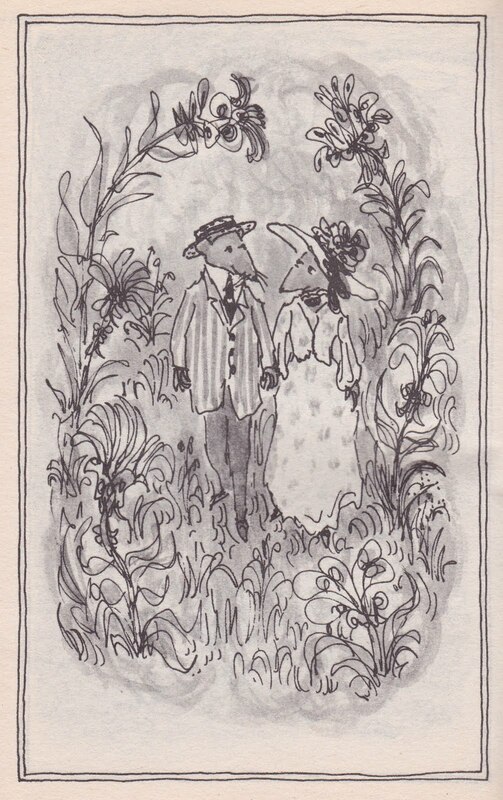 Thank you so much for clueing me into William Steig. We’ve spent the last week or so tracking down his books from the library. They really are a lovely break from the usual. My kids (5 and 3) seem to be enjoying them as much as I am.